Minister of Sports, the Hon. Hon. Shawn Richards will not apologise for the controversy surrounding the removal of lights from Warner Park and allegedly placing them in his constituency despite months of heavy criticism from the opposition St. Kitts-Nevis Labour Party. Last year, the Republic of China on Taiwan donated approximately EC$800,000 towards the purchasing of light fixtures to replace those currently at the Warner Park Football Stadium. That came on the heels of FIFA announcing that the lights at the venue were not up to international standards for hosting World Cup Qualifiers nor international football. But Mr. Richards at his government’s town hall meeting in Sandy Point said the people and residents of Sandy Point have not seen an upgrade at the playfield in the area for 20 plus years under the former administration, despite numerous complaints. In his first major meeting since retaining his seat as Constituency Representative for the District # 5, Richards said, “The fact is, that we had a playfield for more than 20 years in Sandy point without any lights, and as soon as we had the opportunity to put lights in Sandy Point, the lights were placed there. Richards said further developmental works will be undertaken at the playfield including the upgrading of the tennis facility. He reminded residents of a period just before the 2015 Elections, when the former government had undertook to resurface the tennis courts in the area that needed work. “They got somebody to come down in Sandy Point, cast a little thing for a tennis court then tell the tennis players go look at it. And tennis courts can’t fit on the slab of concrete that they put up there,” he declared. 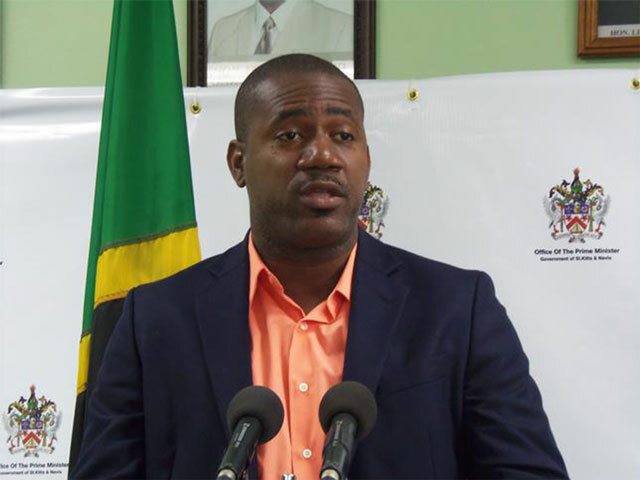 Following consultations with the Department of Public Works, it was disclosed that the government would now have to dig up the surface and start afresh, Richards noted. “When we ask Public Works, what has to be done to correct it they said we have to dig it up and start afresh – waste of money. As I have said to the tennis players come next year, when we get the next set of money to further upgrade the Sandy Point Playfield you are going to get your tennis courts,” he stated. This, he added, is the development that is taking place in his Constituency, which he claimed was neglected under the former administration. The SKNLP used their weekly radio programme to criticize the Minister for removing the lights, with the Chairperson for the partly, Marcella Liburd leading the charge.